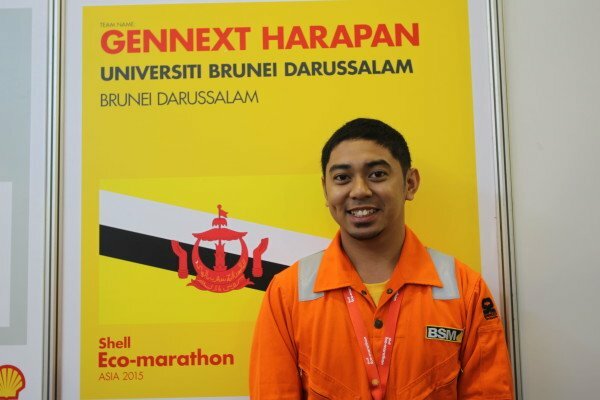 All four of the Bruneian teams from Universiti Brunei Darussalam (UBD) and Pusat Latihan Mekanik (PLM) have now successfully completed and passed the tough pre-race Technical Inspections at the Shell Eco Marathon Asia 2015 competition in Luneta Park, Manila, in the Philippines on Saturday, 28th February 2015. Joining the ranks of yesterday’s Bruneian success in Manila were UBD’s GenNext Harapan and PLM’s Alpha 7 and their battery electric vehicles – the silver black ‘Nakhoda’ vehicles and the golden ‘Panglima Seventy One 77’, respectively. GenNext Harapan’s vehicle, the ‘Mutiara’, qualified past the rigorous testing of Technical Inspection late on Saturday. In 2014, the ‘Mutiara’ made it to the Top 10 in the SEMA competition’s Battery Electric category, clocking in 112 kilowatts hour of energy for 10 laps in 24 minutes. The Panglima Seventy One 77 body design is based on the “Sang Tabuan” (The Wasp), and proudly bears the Brunei national flag colours. Meanwhile, the three teams which had qualified earlier, namely, GenNext Pejuang, PLM Alpha 4 and PLM Alpha 7 made their first few official race attempts on Saturday. 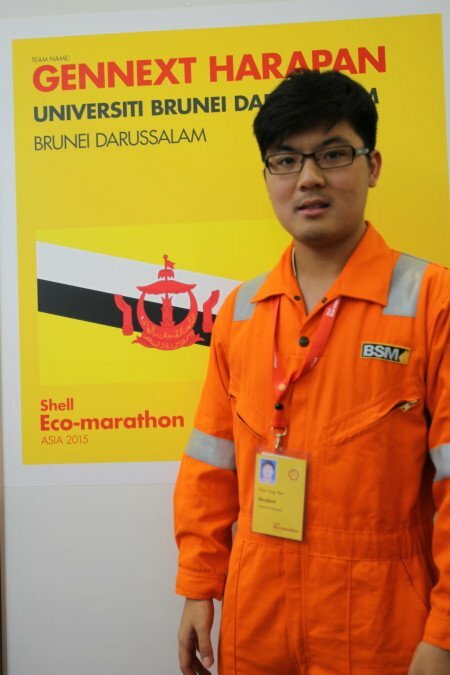 The SEMA competition continues to throw yet more challenges in the Bruneian participants’ race attempts, as the three teams faced a variety of issues. All the teams worked hard to resolve their respective issues and will be making their final race attempts on Sunday as the tracks were closed for racing by late Saturday afternoon. The SEMA competition is about fuel efficiency and not about finishing the fastest. It requires teams to complete 10 laps within a time limit of 29 minutes and no more than five attempts. Among the five given attempts, only one with the highest efficiency will be taken as best record. Earlier on Friday night, all the Bruneian students attended a reception dinner with Danny van Otterdyk, General Manager of SEMA 2015, as well as representatives from the Brunei Embassy to the Philippines and the Brunei Shell Joint Venture companies. Pg Hj Sofhrin Pg Hj Ibrahim, the Brunei Delegation Head to SEMA 2015, presented a token of appreciation to the Brunei Embassy representative, Yang Mulia Dayang Ady Merlina binti Major (B) Haji Manaf. 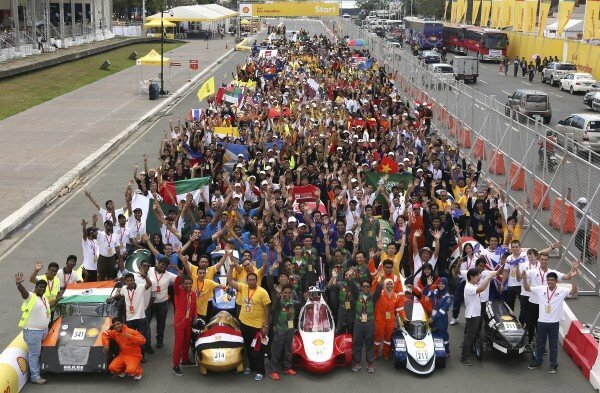 The Shell Eco-marathon challenges teams of science, engineering and technology students around the world to design, build and drive the most fuel-efficient vehicles possible. 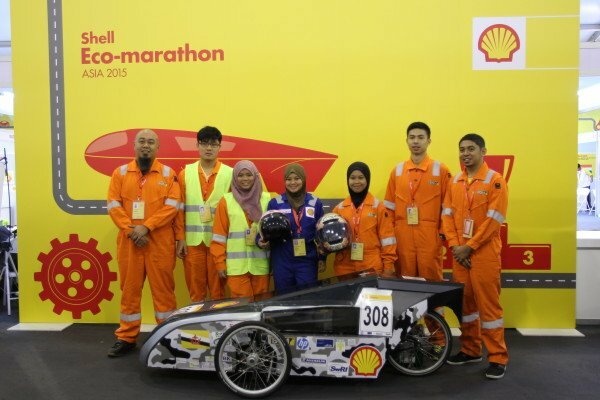 Shell Eco-marathon Asia provides a unique opportunity for Bruneian students to push the boundaries of design and fuel-efficient driving, and to build the cars of tomorrow. This year, teams of students can build one of two types of cars. Firstly, Prototype, which are futuristic and highly aerodynamic vehicles, and secondly, Urban Concept, which are highly economical and innovative vehicles that resemble today’s cars. The cars must pass a set of technical tests and are then allowed onto the track to see how far they can get on the least amount of fuel. Last year’s winners managed 1,796km on just 1 litre of fuel.